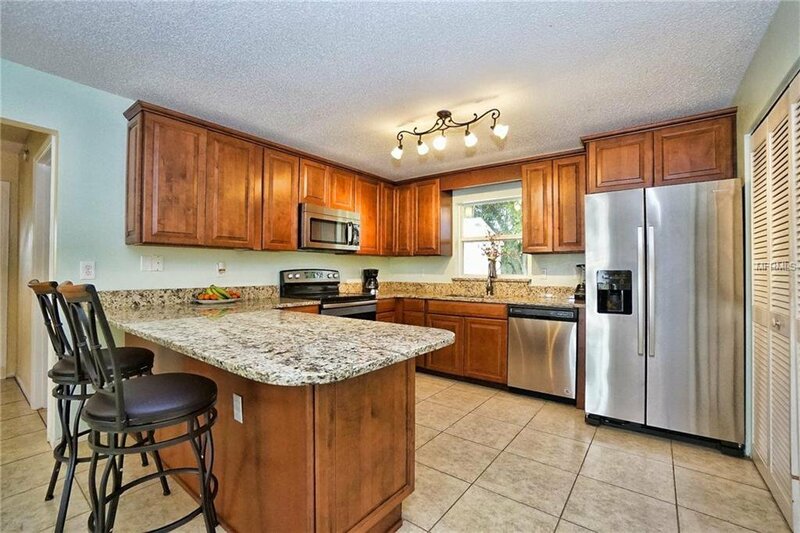 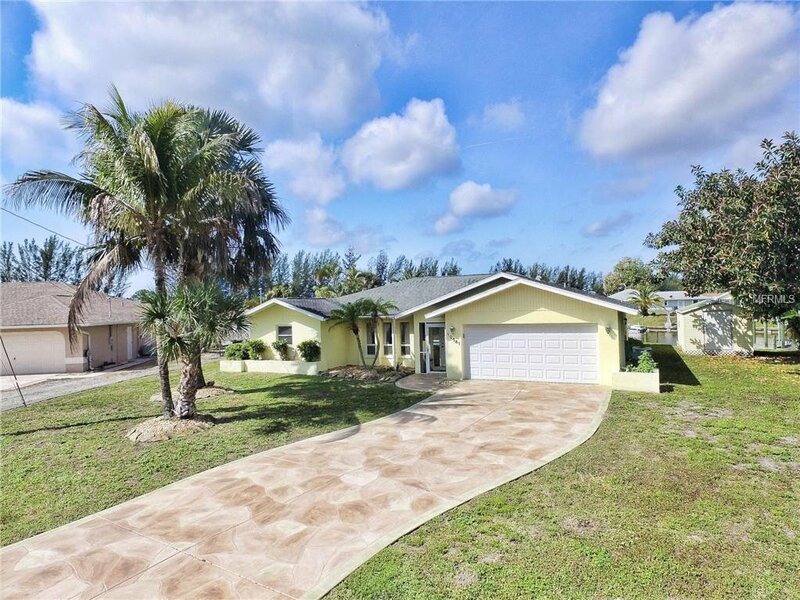 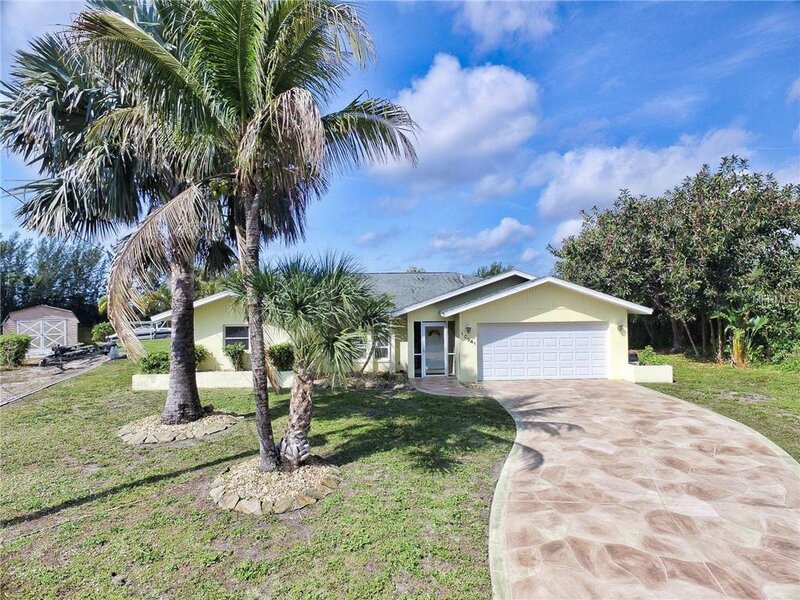 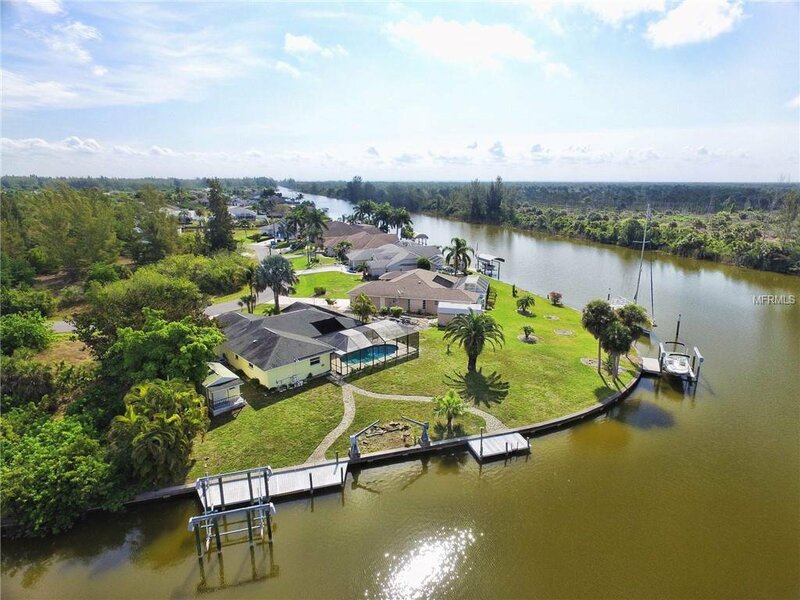 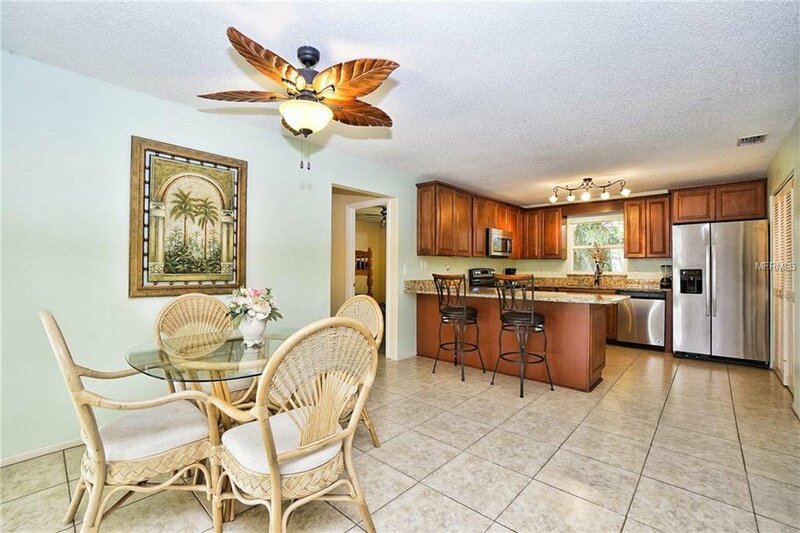 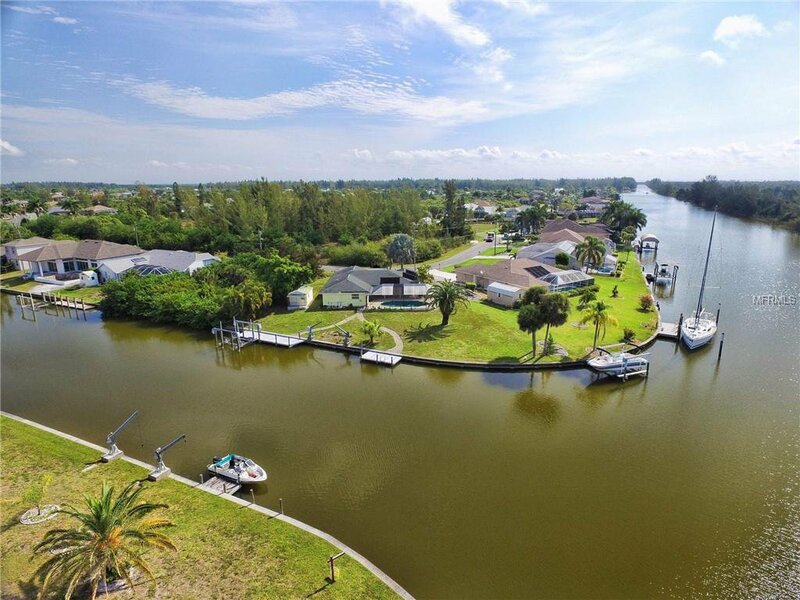 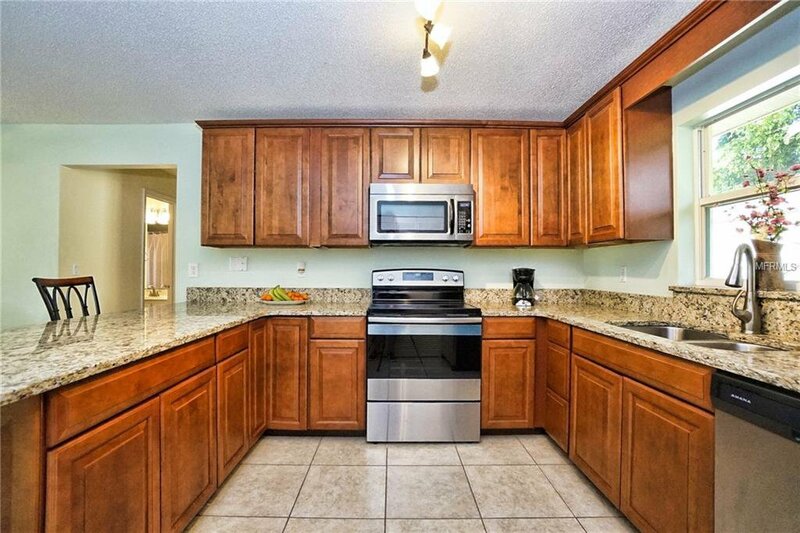 LOCATION is it for this hard to find 3 bedroom 2 bath 2 Car Garage Pool home nestled on a spectacular 161 foot water front tip Lot in South Gulf Cove. 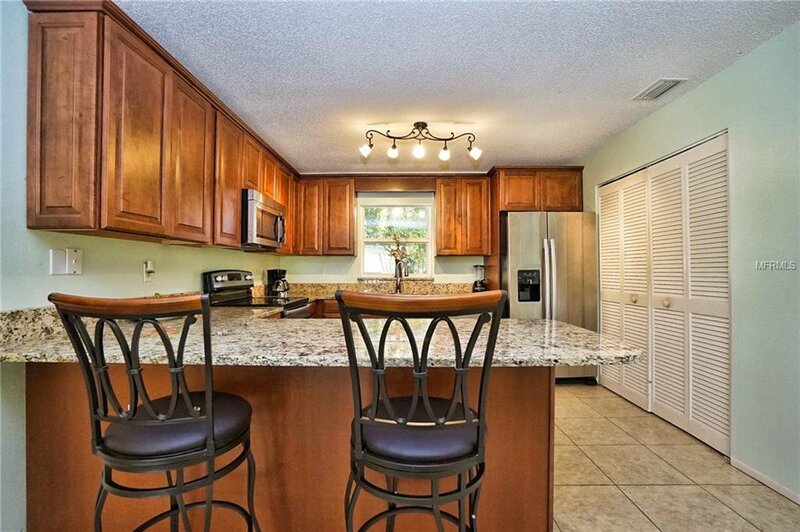 This light and bright split bedroom floor plan home features a large eat in kitchen with a view, all wood cabinets, granite counter tops, breakfast bar, and NEW stainless steel appliances. 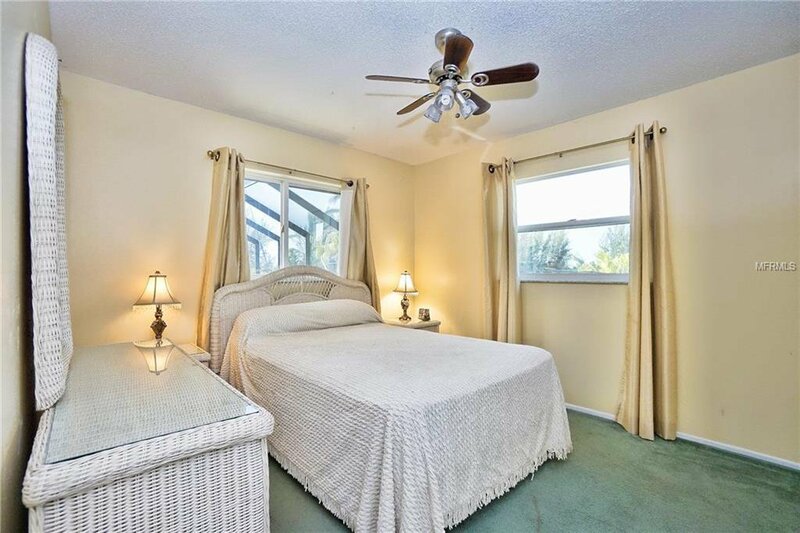 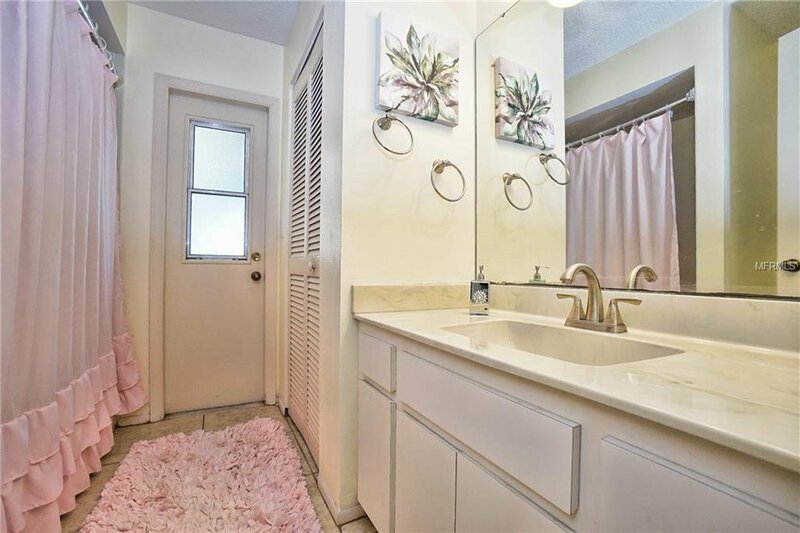 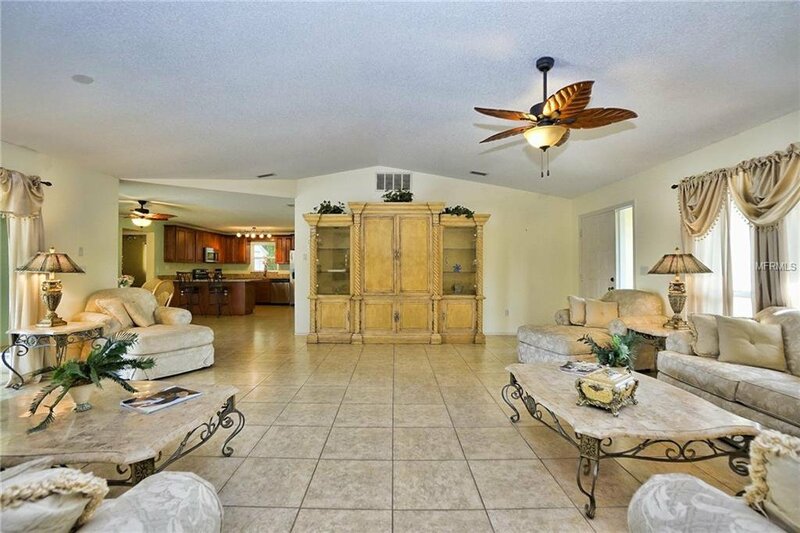 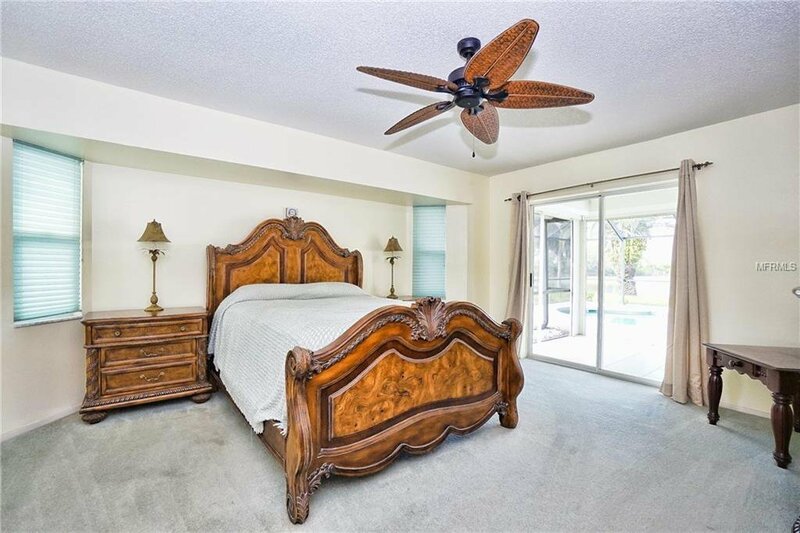 In addition a large Master Bedroom with pocket sliders that lead out to the lanai and pool area, his and her walk in closets, and on-suite with spa tub and shower combo. 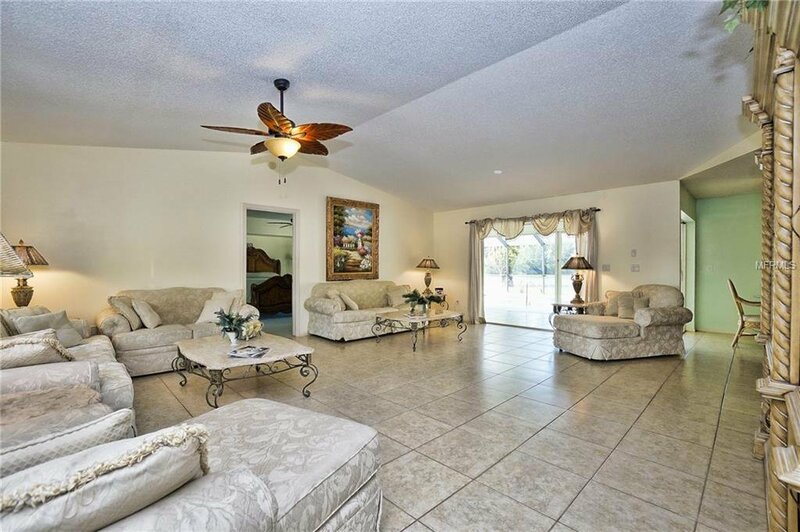 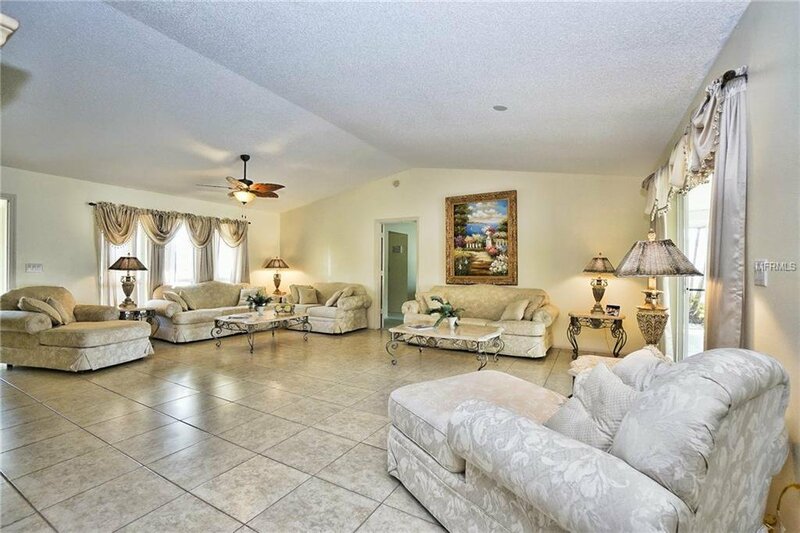 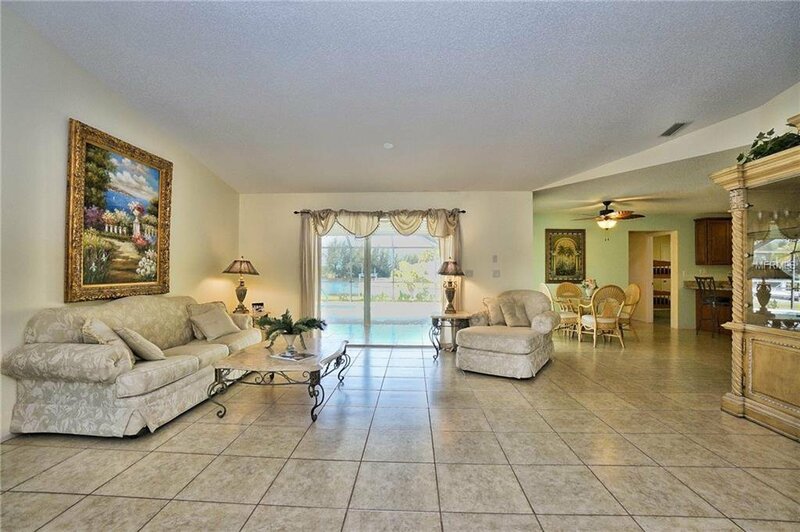 Also enjoy a spacious living room with plenty of wall space for that large screen television, pocket sliders that give you that indoor and outdoor living with a spectacular water views. 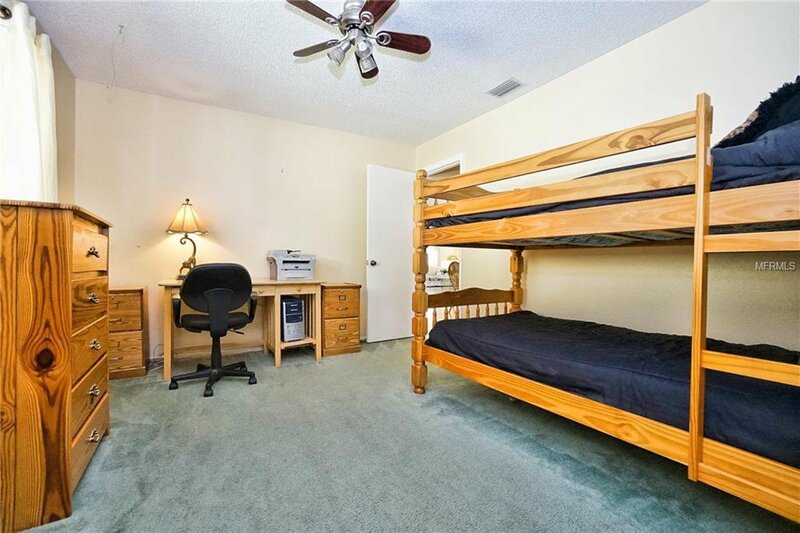 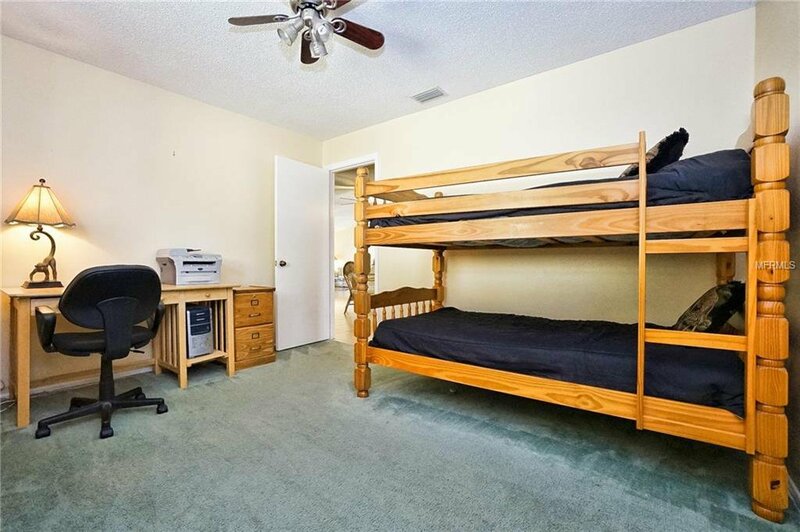 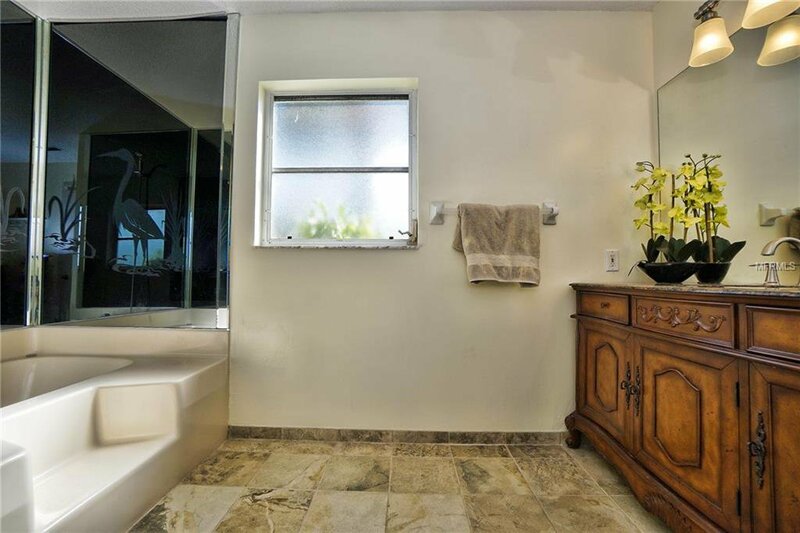 The 2nd and 3rd bedrooms are spacious, with a full bath shower / tub combo and door leading out to pool. 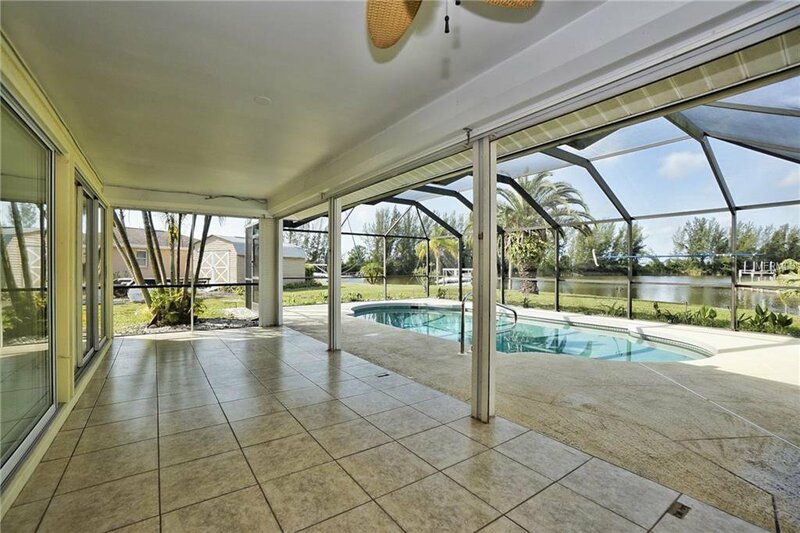 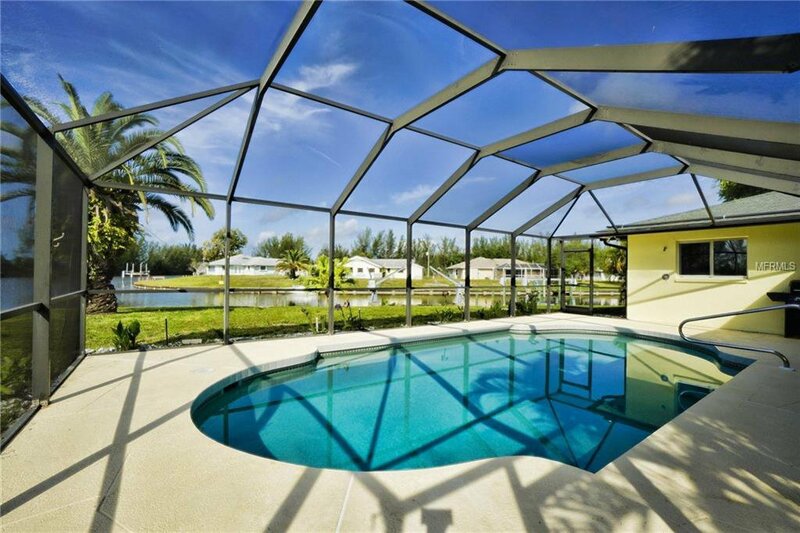 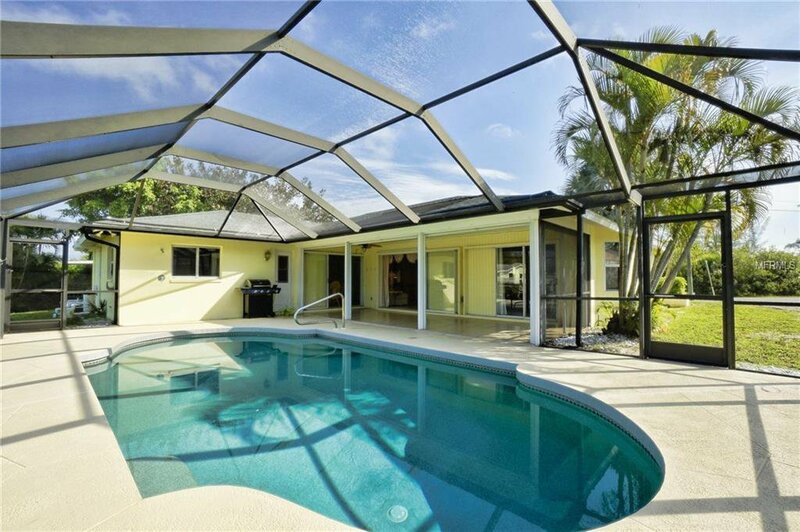 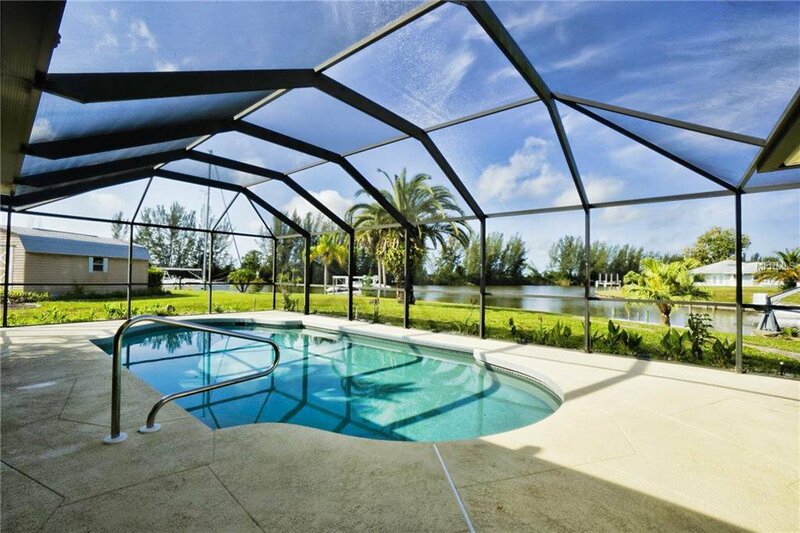 Where the Florida life style really happens is on the large screened lanai and pool area over looking a whopping 161 feet on SAILBOAT WATER with enchanting sunsets views. 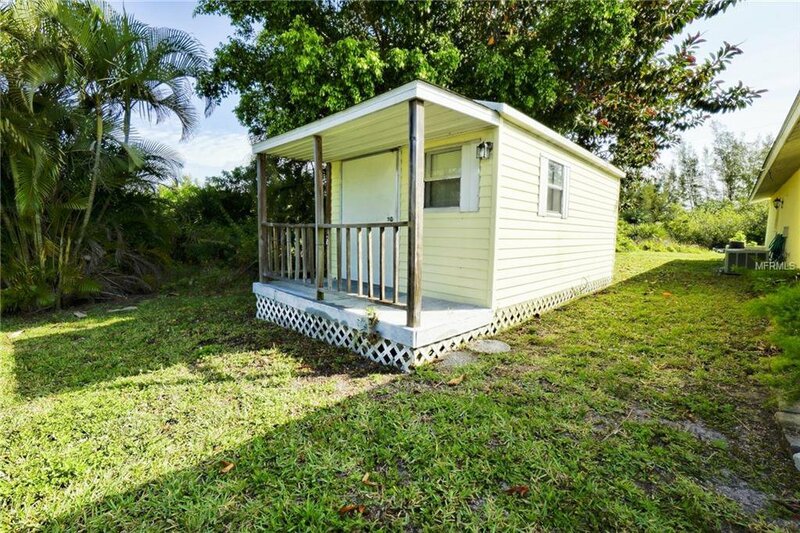 Plenty of yard space to add a fire pit and enjoy the night sky also located to the right of the home is a matching shed and gives you additional storage space . 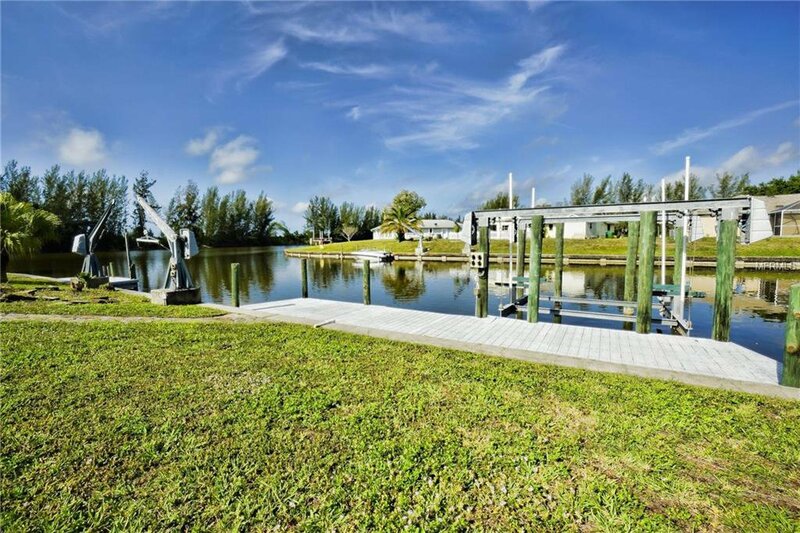 Water front features SAIL BOAT WATER, 161 feet of water frontage with sea wall, two composite docks and 20 ton boat lift.